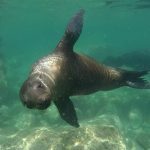 Discover the Sea of Cortez - Diving and snorkeling in Loreto with Blue Nation! Have you ever been in a place where you could see whales, dolphins, sea lions, tropical fish, manta rays all in the same place? If so, then you probably were diving and snorkeling in Loreto or around the Gulf of California! Loreto is a renowned destination for divers, snorkelers and sea lovers in general. The Loreto Bay National Park is one of the largest protected marine sanctuaries in Mexico. 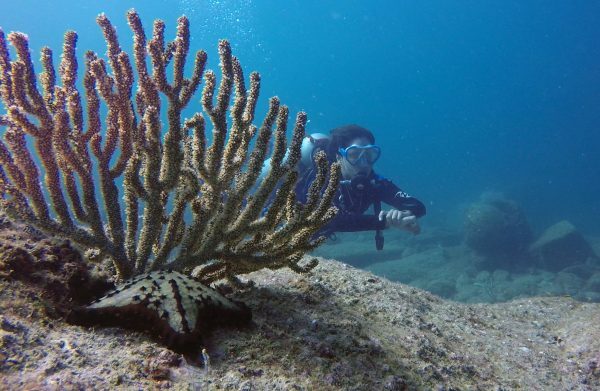 The Sea of Cortez experiences drastic changes through the year: summer months offer warm and clear waters. Colder months trigger a planktonic boom, filling the water with nutrients that attract thousands of new animals, like blue and humpback whales, whale sharks, etc. Our sea is commonly known by three names: the Gulf of California, the Sea of Cortez and the Aquarium of the World! The last was bestowed by Jaques Cousteau, the famous oceanographer, after his exploration voyages across the waters that surround Baja. This is still true, and only a few places in the world boast such an outstanding variety of marine life. The Sea of Cortez is kinda unique. Its a huge, closed body of water with its own climate, only connected to the open sea on its southern end, where it becomes the Pacific ocean. This has created a tropical-like habitat for thousands of colorful reef fishes, yet still being home for other animals from the cooler Pacific. It’s easy to encounter large amounts of warm water fish like the angelfish, butterflyfish, surgeonfish, moorish idols and other tropical fauna. They will provide an ever present touch of color in every dive! At the same time, expect to see turtles, rays under and over the water (yes, they jump! ), lots of nudibranchs and macro life and schooling fish like jacks and barracudas. There is always something to see! Check the video below to get a brief insight of how it looks like to be underwater! “The Colors of the Cortez – Diving in Loreto, Baja California Sur, Mexico” by Blue Nation.